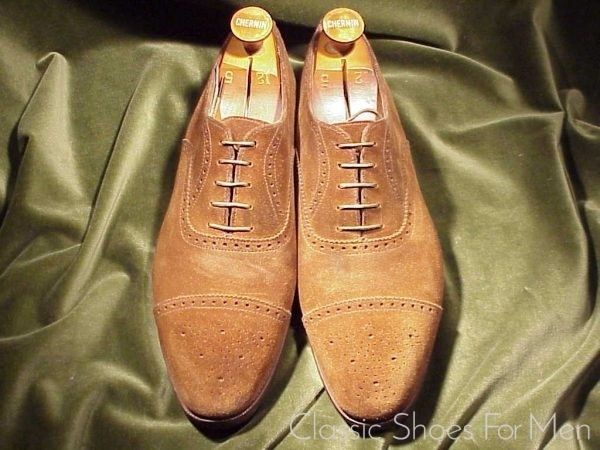 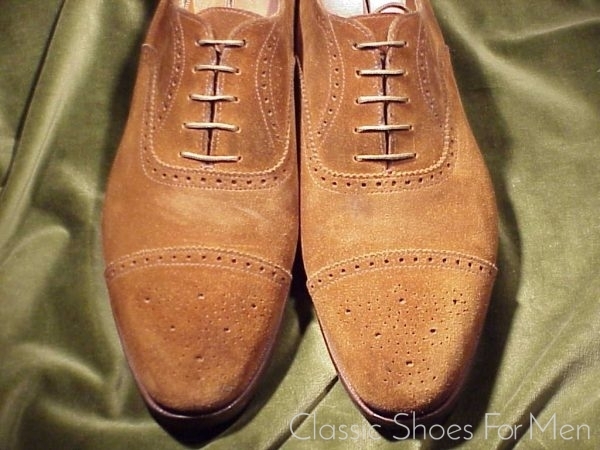 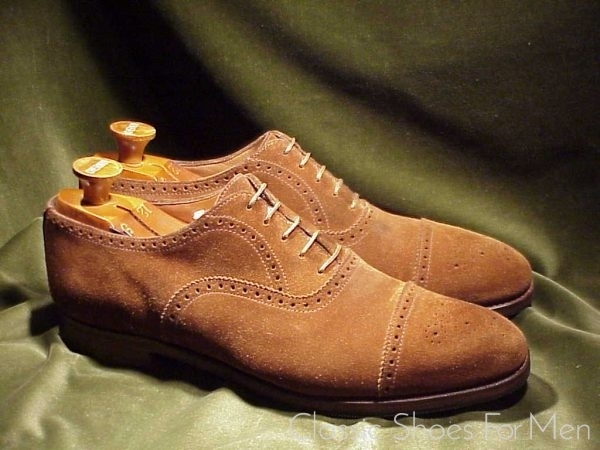 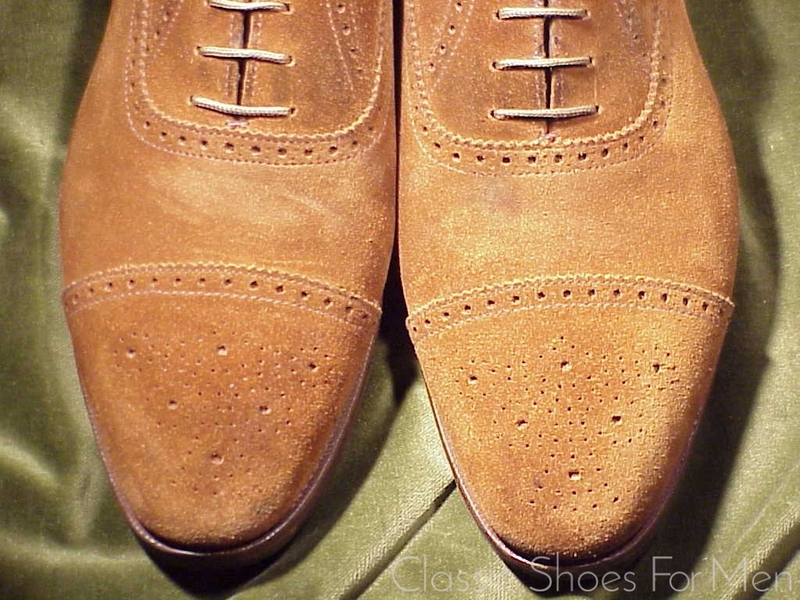 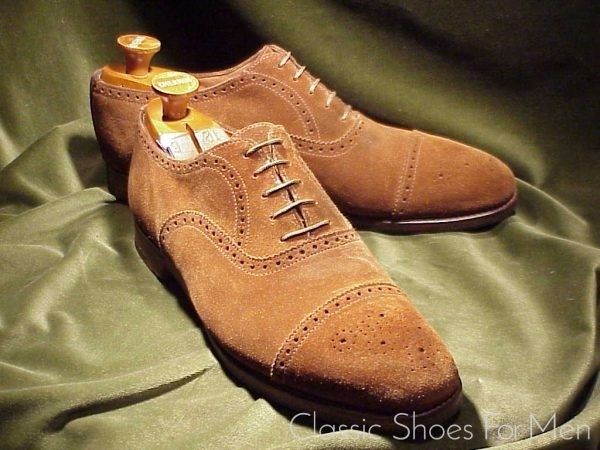 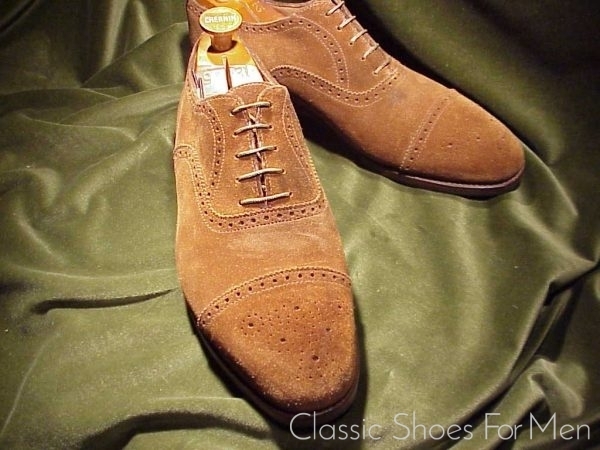 This particularly lovely Suede Half Brogue is of that later Crockett production and is Crockett’s best quality shoe, on a level with their “Hand Grade” shoe, closed channel Goodyear welted, with combination heel and it is entirely leather lined. Suede is difficult to photograph and here again the pictures of this supremely elegant shoe are inadequate. The quality of the suede, again, difficult to see in the photos, is Crockett’s well-known superior velour-like, soft-to-the-touch top-quality, full-grain calfskin suede. 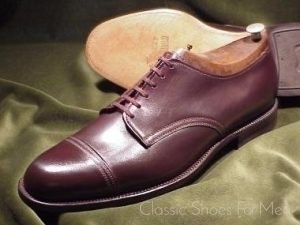 I am unable to see a difference between this and other Peal products compared to certain ready-made traditional models marketed by John Lobb. 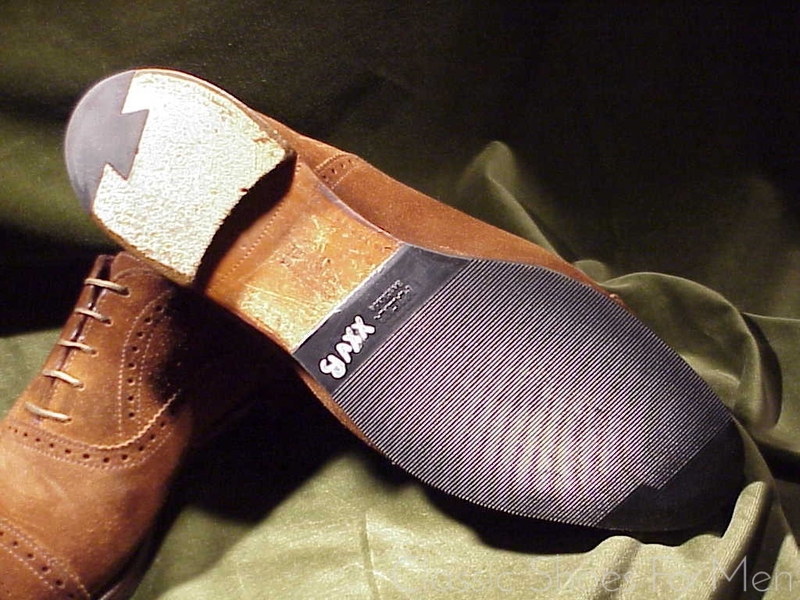 I suspect that they are made in the same factory and merely branded differently. 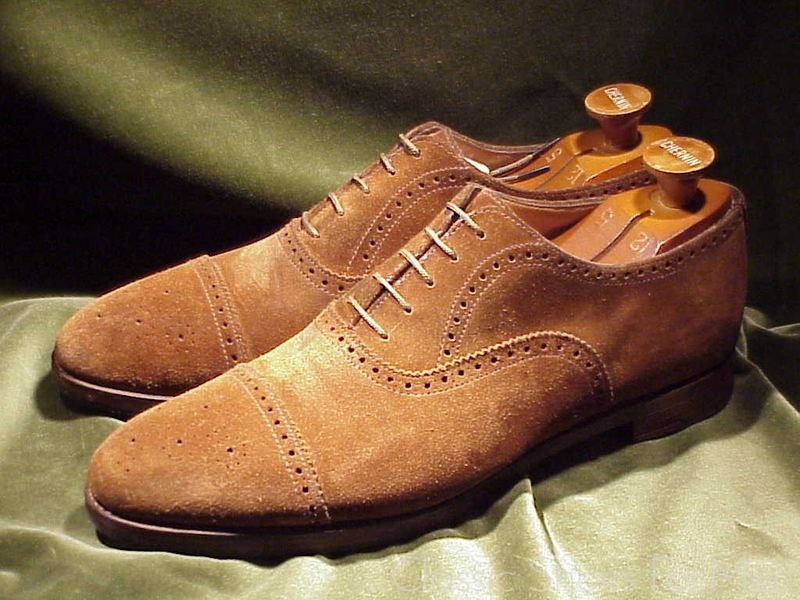 Bought here or at Brooks, the Peal products are an excellent value and indistinguishable from Lobbs at literally twice the price. 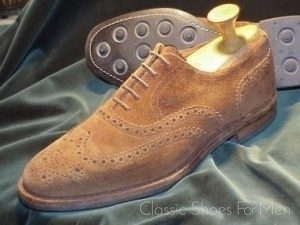 You have my personal recommendation on this elegant shoe. About the model: The suede Half Brogue Oxford along with the Full Brogue is the classic daytime shoe of choice in London’s “City”, financial district. 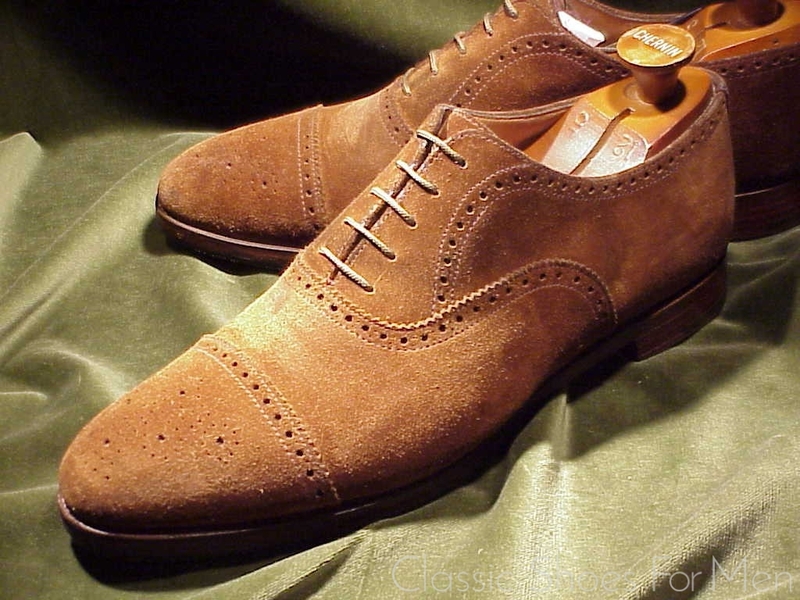 Seen worn with pin-stripes, gray flannels and other business wear, they are the height of elegance and precisely in the English Taste. 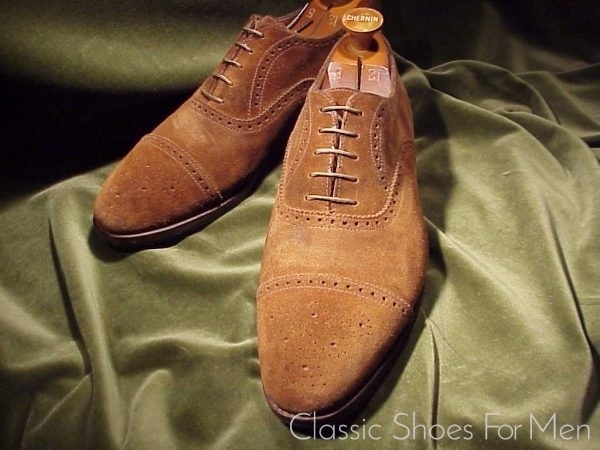 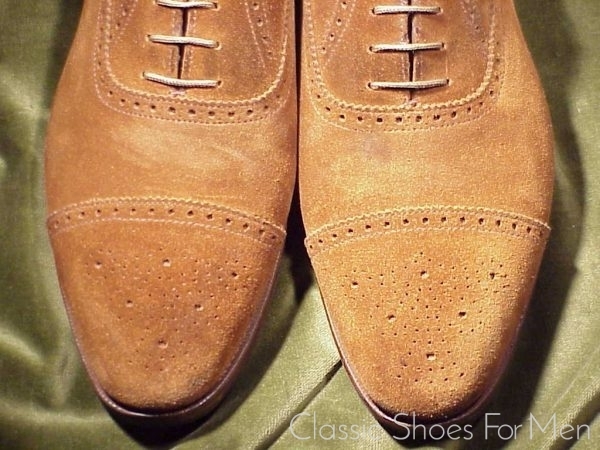 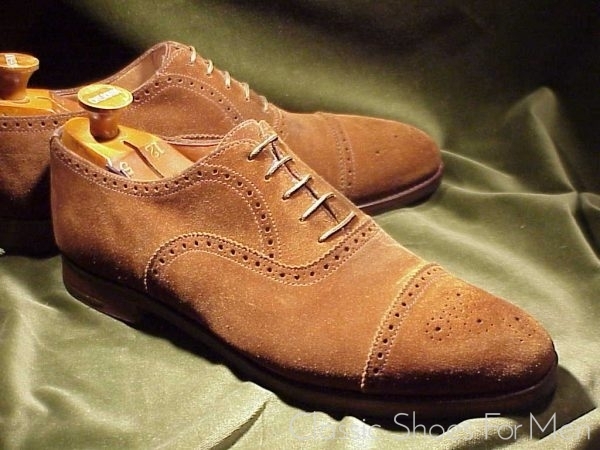 Naturally a lovely shoe like this in exactly the right tone of dusty-brown is a perfect complement too to your baggy tweeds, old khakis, homespun checks or ancient field jackets inherited from a departed relative. In short an ideal shoe for surveying your estates or a foray into the village for a pint with the townsfolk. 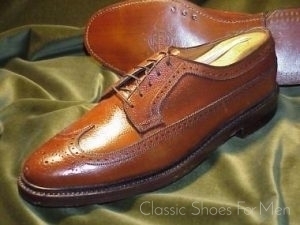 US 11E....UK10 F......Continental 44.5E, for the medium to somewhat wider foot. 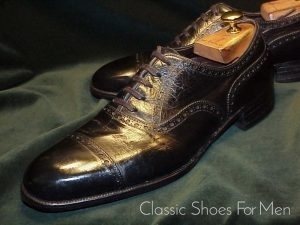 Lightly worn. 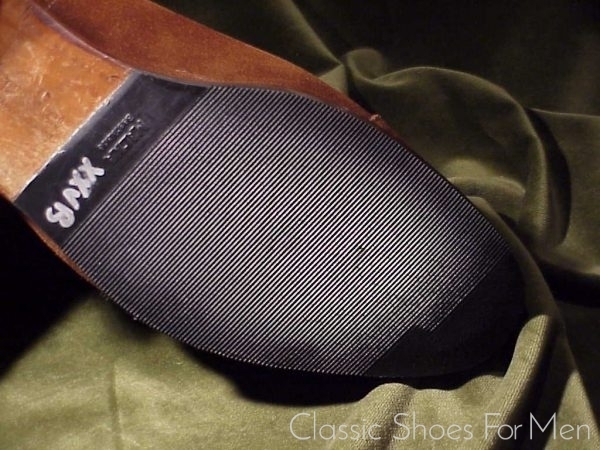 Protective thin rubber soles added.